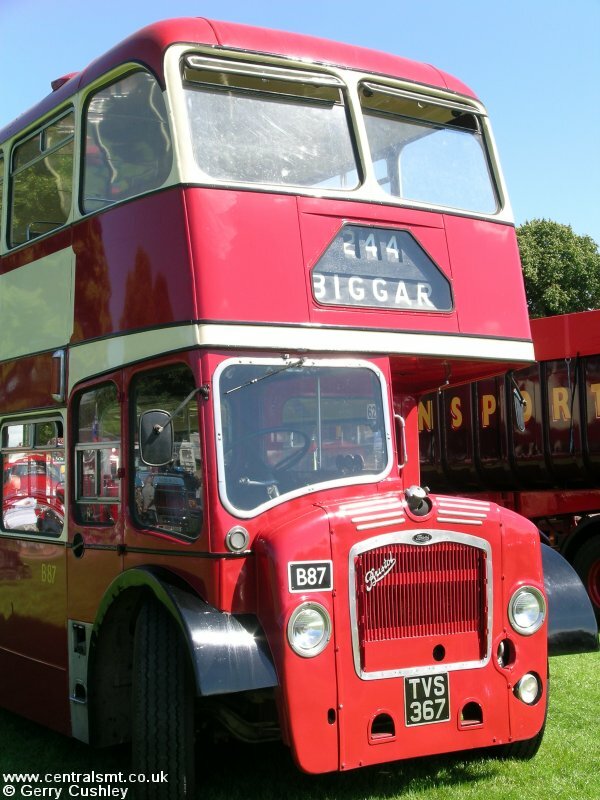 LEFT: B87 returned to Motherwell for the first time in many years on 20 February 2009. This shot was taken at Tinkers Lane, where Traction House had all but disappeared and the old Airbles Depot was reduced to rubble. 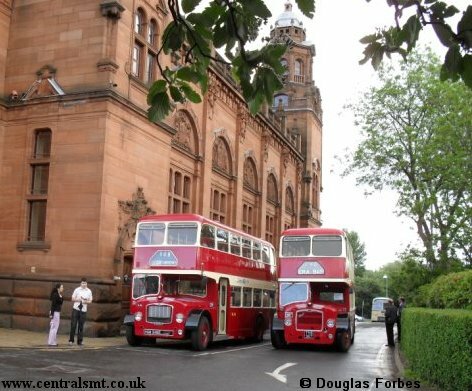 RIGHT: B87 meets up with BL346 at Glasgow's Kelvingrove Art Gallery & Museum, while providing a special service to the Tall Ship at Glasgow Harbour. LEFT: B87 in good company while visiting the Scottish Vintage Bus Museum, Lathalmond, for the first day of its 2010 open weekend. This month brought my first opportunity to go for a ride on the restored B87 when her owner, Fr Alex Strachan, took her to the Biggar Vintage Rally on a glorious summer day. A chance to turn the destination blind to that iconic position! 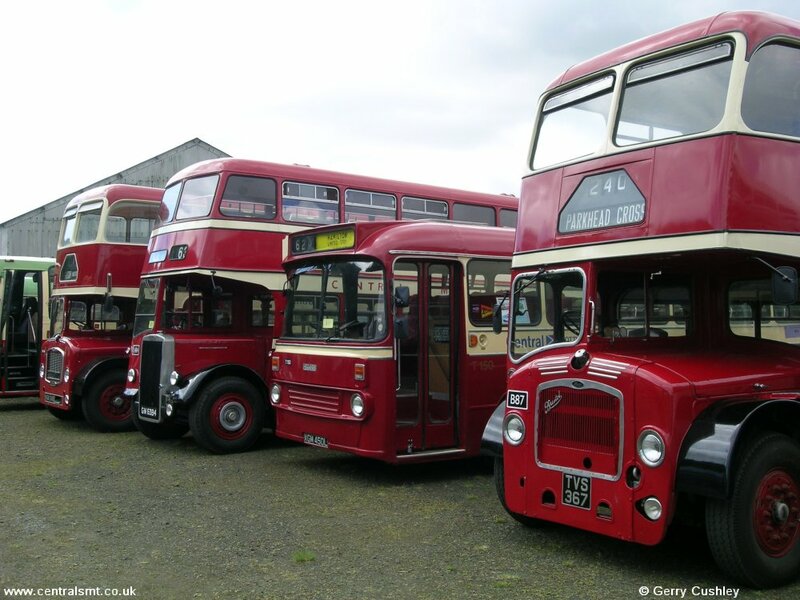 The first of two B87 excursions in spring 2011, this jaunt was based on the old A74 road and took in destinations associated with the '50s' group of routes, as well as a small section of the former Lanark - Muirkirk run. The photos show B87 in Hamilton (Cadzow St), Coalburn (Bellfield Rd), Douglas (Douglas Arms Hotel) and Cairn Lodge Services. 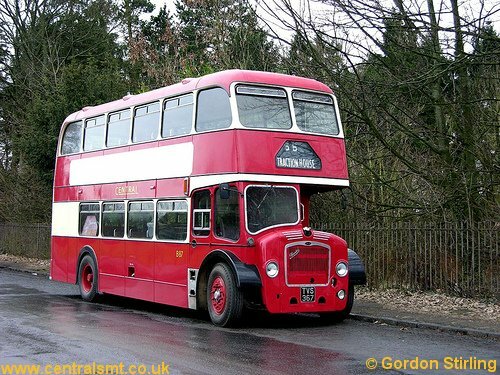 This highly original itinerary saw B87 visiting the former Central SMT destinations of Eaglesham, Auldhouse, Auchentibber (what's left of it) and Quarter.